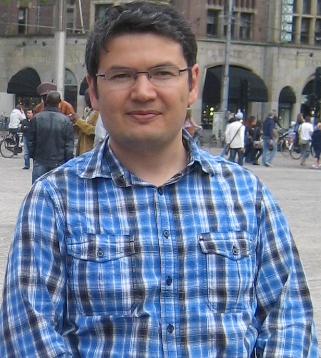 Dr. Jumamurat Bayjanov obtained his PhD in 2012 in the field of bioinformatics from Radboud University, the Netherlands. There he developed bioinformatics methods and tools for comparative genomics and association analysis of bacterial genomes. After his PhD he continued hist research at the same university, where he was also involved in developing bioinformatics infrastructure by integrating relevant tools and/or implementing necessary methods. In 2014, he moved to UMC Utrecht to continue his research in comparative bacterial genomics, where he was also involved in metagenomic analysis of DNA samples from various niches. He also took part in several sequence-based and phylodynamic analyses of nosocomial pathogens. Dr. Bayjanov joined the group of Toxicogenomics at Maastricht University in July 2017 as a bioinformatician in the OpenRiskNet project. The objective of this project is to enable sustainable infrastructure for managing, mining and modeling of data collected in several research communities, including toxicology. In addition to his skills needed to setup bioinformatics data warehouse, he also has a long time experience with different data analysis tools and machine learning algorithms, which will be an asset in the realization of this project.